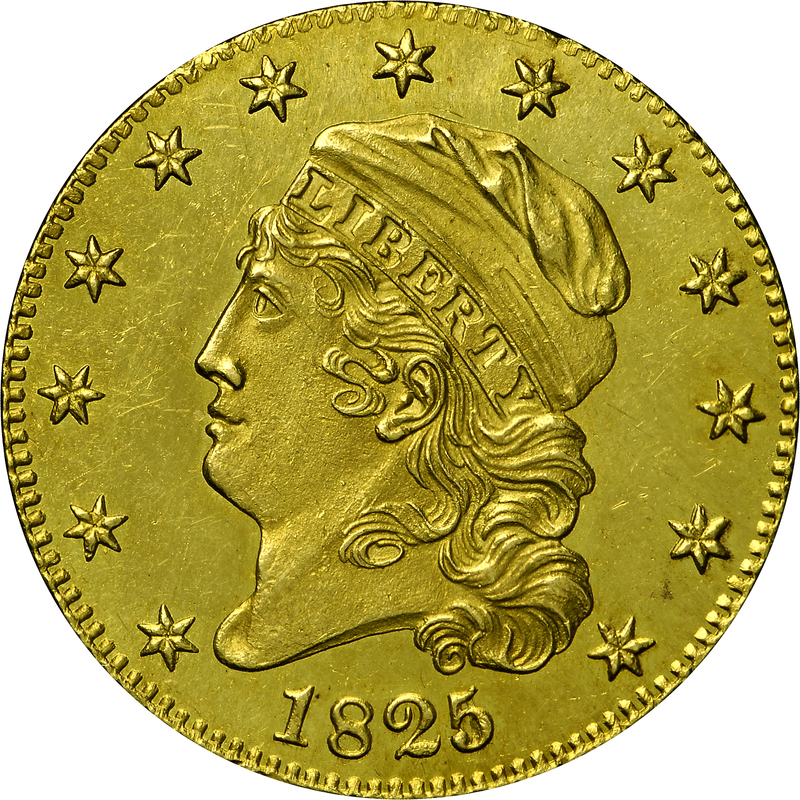 Two overdate varieties exist for the 1825 half eagle coinage, from a mintage of 29,060 coins. 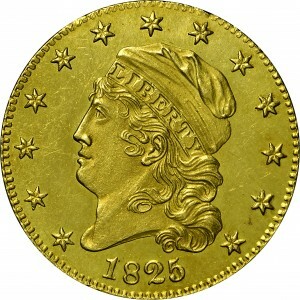 This is the 1825/1 overdate, which is a rarity with approximately 20 examples known. The other overdate variety is the virtually unique 1825/4, not included in the Bass Collection. 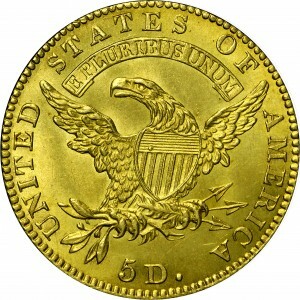 Harry Bass acquired this coin in a private transaction in December, 1970. This Bass Collection example of the 1825/1 overdate appears to be of the quality sometimes described as a “one-sided Proof.” The obverse has fully reflective fields with lustre on the devices. 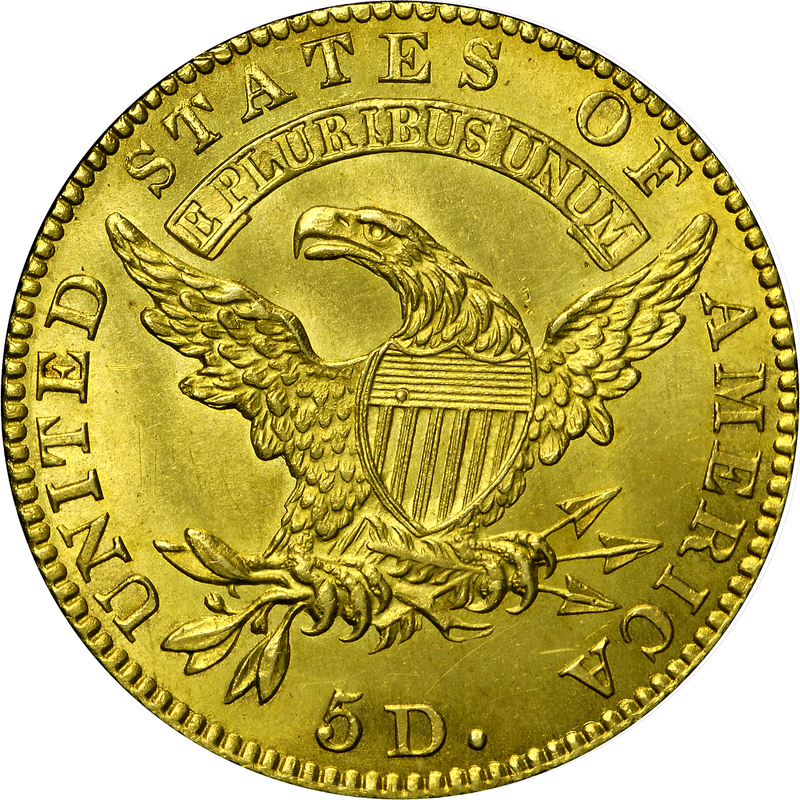 The reverse has lustrous fields and devices. Purchased from Stanley Kesselman, December 18, 1970. "Obverse: Curve-based 2. Belted 8. In date, 5 over 1; remnants visible within 5 and at its bottom right curve. Cap surface as that of 1823. Stars 1, 2, 3, 5, 10-13 recut. Reverse: Small letters. Perfect T punch. Prominent die center punch period in upper section of shield."